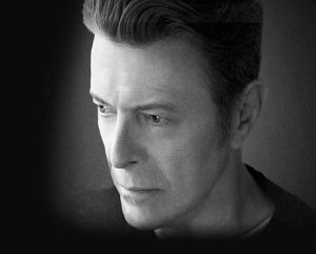 We Missed You David Bowie – Welcome Back!!! On January 8th 2013 while celebrating 25 years of creating under the guise of Weird and Gilly our well planned day took a drastic turn after signing on to the web before venturing out for our traditional festive dinner at Luigi’s in Akron, Ohio. SURPRISE!! Word had it: David Bowie had launched a brand new single for his 66th birthday and as music’s best kept secret went viral; we tuned in with the rest of the world, jaws dropped firmly on the ground. After a ten year hiatus and rumors of health issues, here he was; delivering both new sounds and thought-provoking vision. The first single ‘Where Are We Now’ premiered by form of a video and so the Bowie buzz…begun. Instantly downloading it, we played it on repeat for the rest of the afternoon (no lie) and anticipated hearing the full length recording, promised to hit the streets eight weeks later. On the 26th of February the second single ‘The Stars’ (Are Out Tonight) launched; its debut also coming dressed in the form of a new video, this one even more buzz worthy than the first. Packed with quite a bit more punch than ‘The Next Day’ it elevated our desire to hear more. Producer Tony Visconti had already hinted in the press that the majority of the songs rocked and ‘TSAOT’ proved to be of them. On March 1st when the album started streaming on iTunes you could hear and read the praises from shore to shore. Now, it’s officially here ‘The Next Day’ and the date we’ve been waiting for: March 12th. Number one in 39 countries around the world is just one way to sum it up, we’ve missed you David Bowie. Welcome back! ‘The Next Day’ is available everywhere TODAY!! Order it online or better yet, get out there and support your local record store! This site Copyright © 2009-2019 Weird And Gilly. All content on weirdandgilly.com, including photographs are under copyright and may not be reproduced without the prior permission of the copyright owner. The news, release dates and tour dates are subject to change.